Take your dining experience to the next level with an outdoor kitchen that is uniquely designed for your San Francisco Bay home. 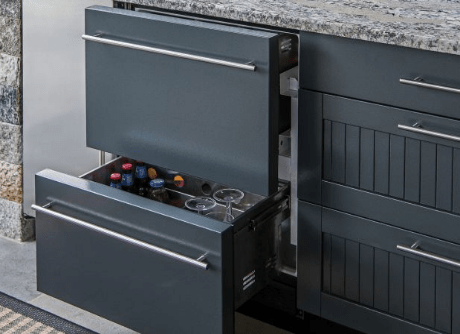 Discover the delights of stepping outside and having a full range of outdoor kitchen benefits, including semi-custom outdoor kitchen cabinets, weather resistant cabinetry, maintenance free coating, and more. Gilmans Kitchens and Baths acknowledges that more and more homeowners are taking their home dining experiences to the backyard. Outdoor kitchens are becoming just as integral to the home as indoor kitchens and deserve cabinetry that is just as striking as the main kitchen. 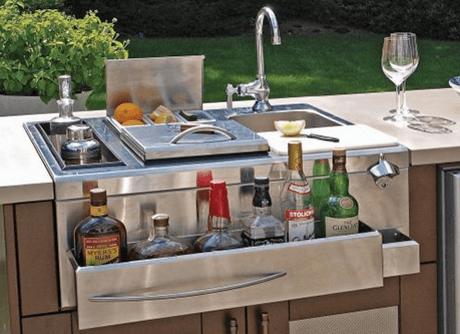 Gilmans Kitchens and Baths offers quality semi-custom outdoor kitchen cabinetry to add beauty and convenience to any outdoor dining experience. 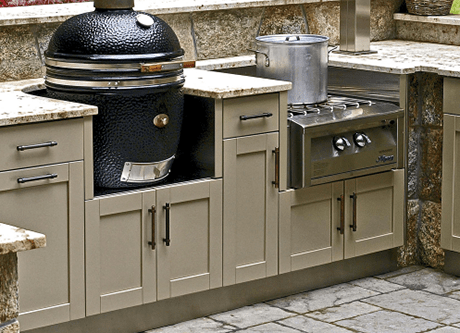 Our outdoor kitchen cabinet lines include Danver and Brown Jordan. Clients can choose from a variety of door styles and finishes so that the outdoor kitchen looks just as beautiful as the rest of the home. Ask one of our designers for a view of sample doors and exciting finishes in our San Mateo, Mountain View, San Francisco and San Rafael showrooms.